Long Monday, or "Too tired to think of a title today"
Sorry this is late--I've had some technology issues this week. I got a reveal package for my AWESOME secret pal, Jennie (THANK YOU, so much!!!) But I couldn't find my camera to take a picture, so you'll have to deal with this poor phone-camera picture. 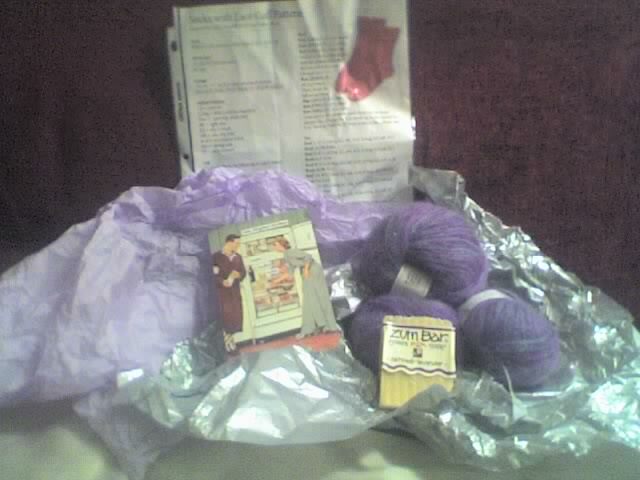 There's a lace-cuff sock pattern, some oatmeal-lavendar soap, a postcard, and three skeins of Crystal Palace Kid Merino. It's so soft, and I LOVE the color. There was also a CD of songs in French and Portuguese and German and Spanish (I don't speak any of those languages, but I love music not in English). They're kind of like Jazz and I like the CD. I've got about eight inches done on my Bristow cardigan (sorry, no photos--too lazy!). 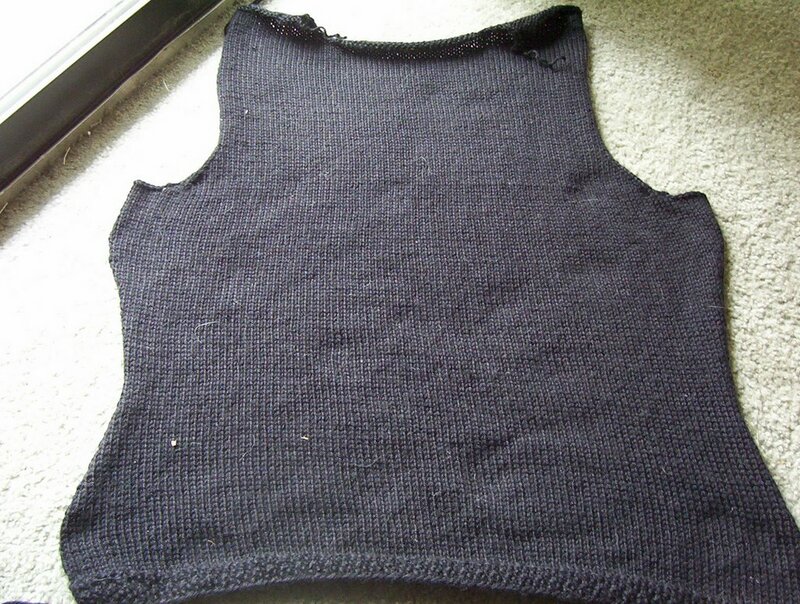 I finished the back of the Bristow cardigan. And I've now started on one of the front panels. I think I want to learn this "cabling without a cable needle" technique before I get very far though. 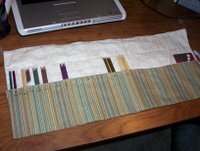 I bought some remnant fabric at Wal-Mart to make a case for my multitude of DPN's. I based it off of this pattern, except that I made it with only one row of pockets, and it's only tall enough to hold my DPNs. 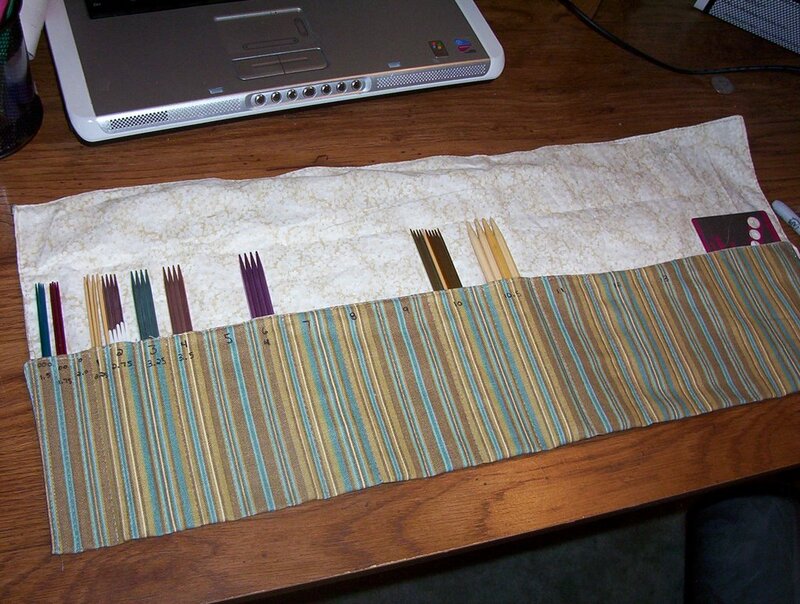 I only have three pair of straight needles--I do everything on circs or DPNs--so I didn't think it worth the trouble to add pockets for them to this case. I'm very pleased with how it turned out, except I didn't think to make the slot big enough for my size 0's and 1's. I have three seperate sets of each size, I think. So for the moment, some of them are residing in the slot for size 10's. 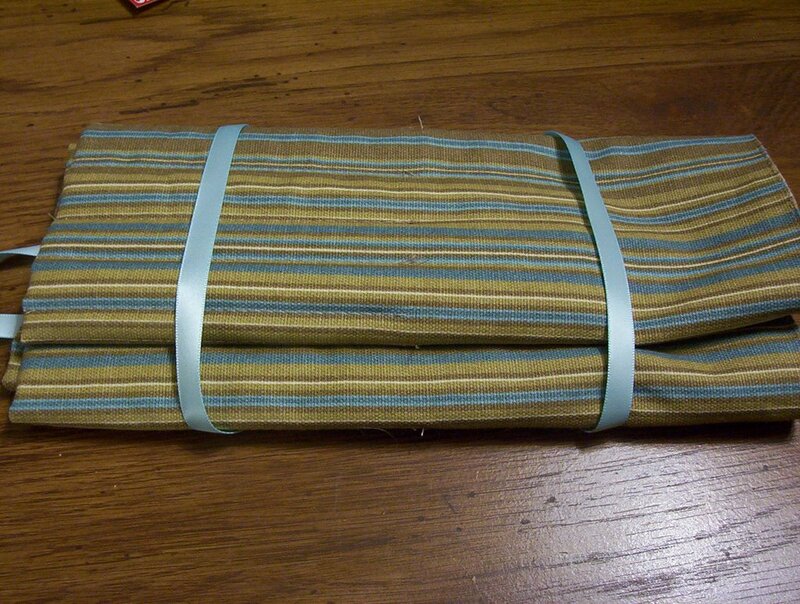 I've got a little extra fabric left, so I think I'm going to try to come up with some way to make a case for my circs. 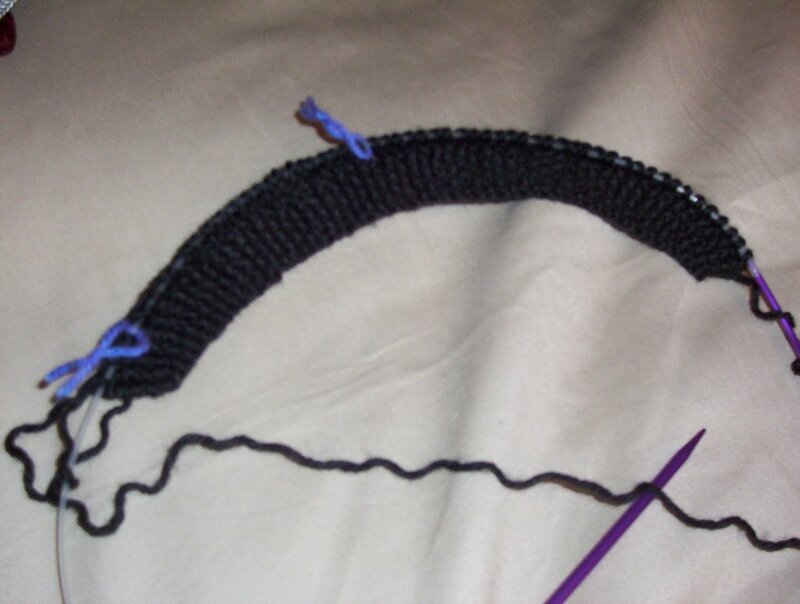 I also started a new project: an Odessa hat for my roommate's cousin. 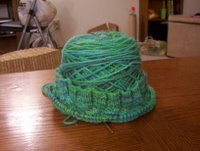 She liked the colors of my Crazy socks that I finished a little while ago, and wanted a hat out of the same colors. I couldn't find any yarn in that colorway in a DK or Worsted weight, so I bought some white wool and Kool-Aid dyed it. It was fun. Not quite the same colors as my yarn, but she says she's thrilled with it. 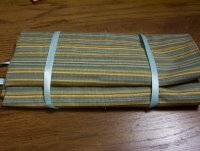 Also in the works: I went on a shopping spree this weekend and bought some Cascade 109 bulky weight wool in some loud colors to make a Kitty-Pi bed for Jami and Mattie. I'd show you pictures, but it seems that Blogger won't let me have more than five in one post! (Normally, that's not a problem.) I want to find some size 13 DPN's though. I may just do it backwards, from the outside in, just so I can get started that much sooner! And I strung some beads onto a ball of yarn to make a beaded Odessa for myself. Knitting ADD, I tell you.